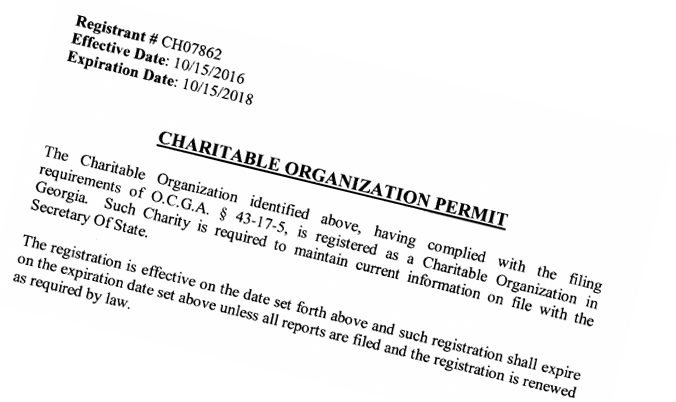 The Cherokee Sheriff’s Foundation is in compliance with the Georgia Secretary of State, O.C.G.A. 43-17-5, and is registered with the state as a Charitable Organization. To see our letter from the State click here.